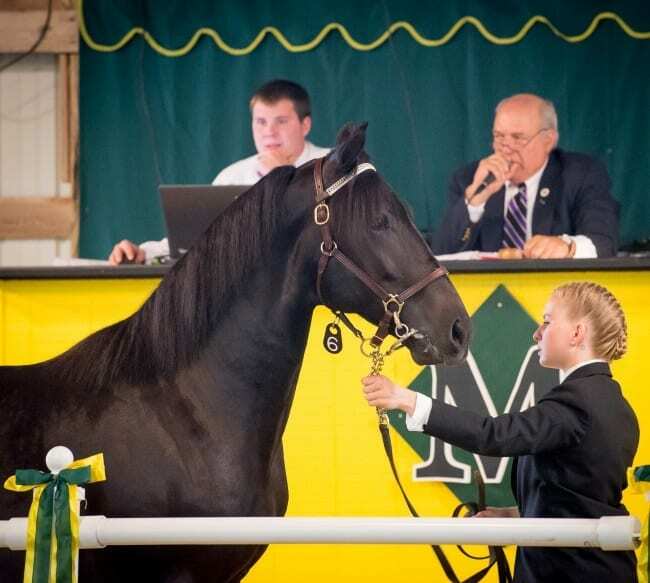 Sunday’s Morrisville Equine College Yearling Sale is key in helping provide a future for the sport’s next generation. Dave Hanson of Lakeview Equine of West Eaton, NY, said Sunday’s Morrisville Equine College Yearling Sale at Morrisville State College in Morrisville, NY is much more than a yearling sale. Preferred Equine’s David Reid is also a big fan of the Morrisville sale, which will sell some 80 yearlings beginning Sunday at noon. Reid said he also appreciates the greater impact the sale has on the equine community. Taylor said the sale is key in helping the students to make contacts and get jobs. In 2016, 81 yearlings grossed $1,106,136 at Morrisville for an average of $13,656 that was down 12.1 per cent from the 2015 sale average of $15,540 when 19 fewer horses were sold. Last year’s average was up 27.5 per cent from the 2014 average of $10,714 and up 33.3 per cent from the 2013 average of $10,246. Last year, Morrisville was impacted by direct competition from the Goshen Yearling Sale that had its sale the same weekend. This year, the sales are separated by a week. Goshen’s sale was last Sunday. Hanson is selling 10 yearlings this year, about the same as he sold at last year’s sale. Last year, Hanson consigned the sale topper, Thunderman, a son of Conway Hall out of Ann’s Promise that sold to Chris Oakes for $55,000. “(This year), I also have the full brother to Thunderman, Charlieman… He’s a nice colt, a very nice colt,” Hanson said. The fact Morrisville is a local sale is a huge positive for Hanson and other consignors in the region. Hanson added that the weather for Sunday is predicted to deliver summer conditions. “It looks gorgeous,” Hanson said.